In honor of Vocational Services Month, the Blue Crew were joined by Mr. Wayne Jackson - Director, School of Hospitality Studies at the University College of the Cayman Islands (UCCI). 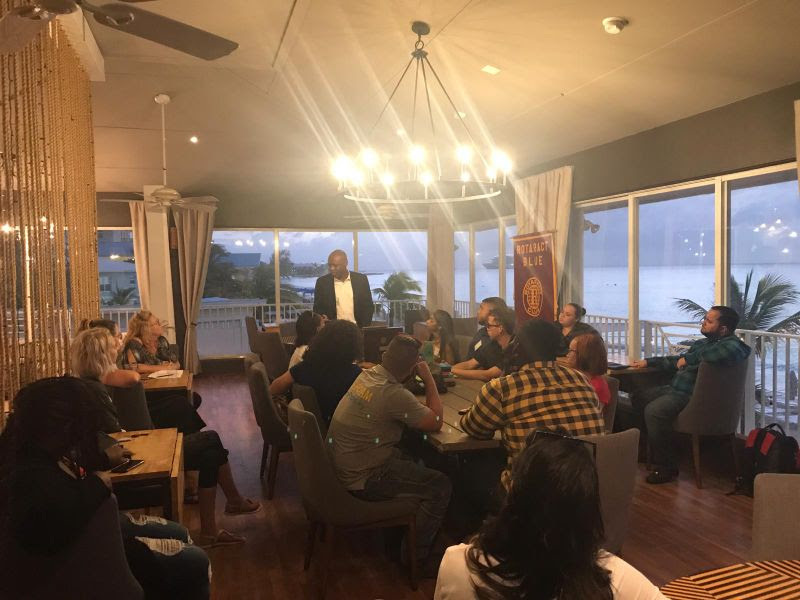 He discussed Vocational Services in the Cayman Islands and the efforts made by UCCI to provide the Cayman Islands with quality Vocational Education to support these vital industries. We were honored to present Mr. Jackson with a cheque for CI$2,000 to sponsor two local students in their pursuit of Vocational Studies at UCCI. 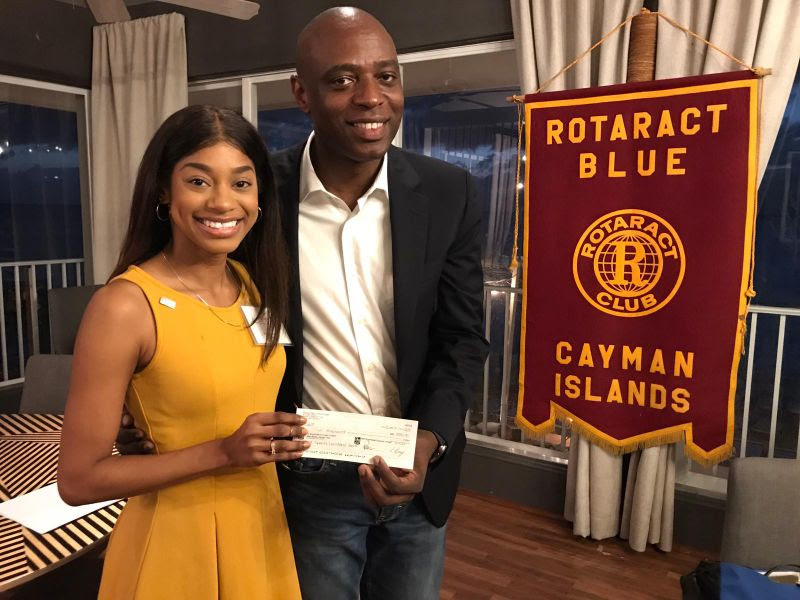 These funds were raised via Rotaract Blue's Fred Speir's Vocational Grant. This is our annual initiative in honor of the late Rotarian Fred Speirs. The Annual Fred Speirs Walk/Run will take place on 24 March 2019. This event is the main source of fundraising for our Fred Speirs Vocational Grant.